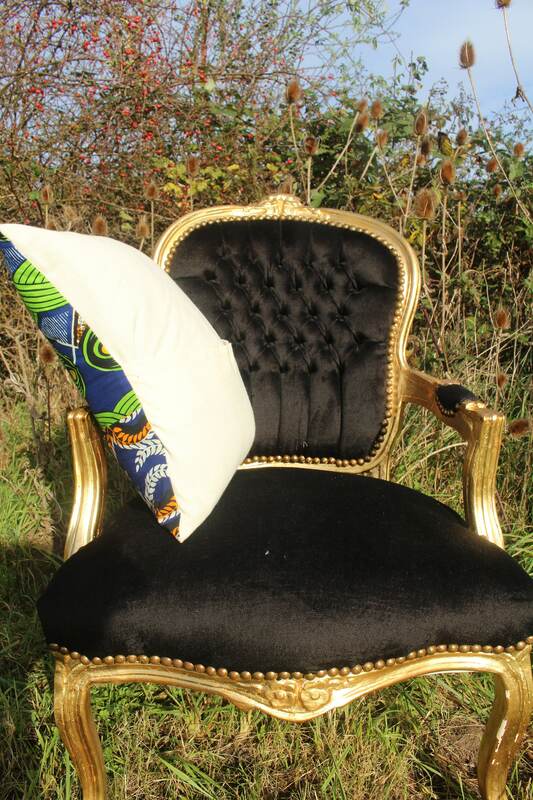 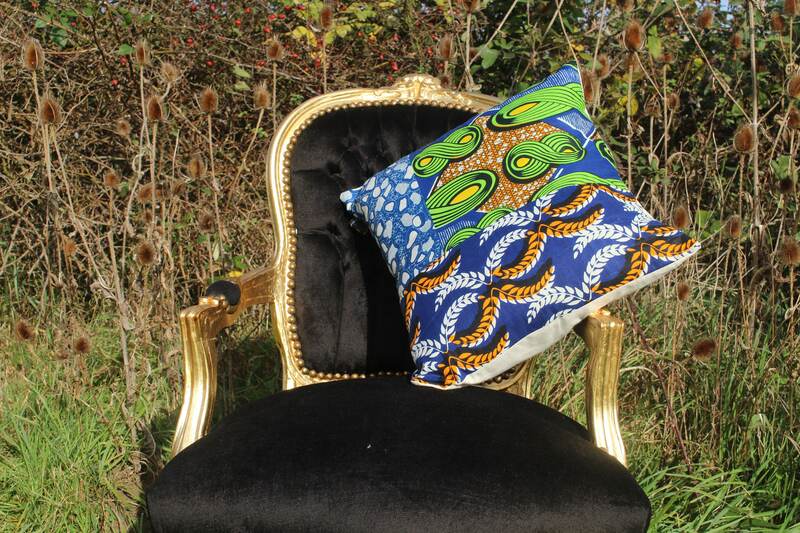 African Print Cushions, pillows and other African home decor are a perfect way to inject some colour into your home. 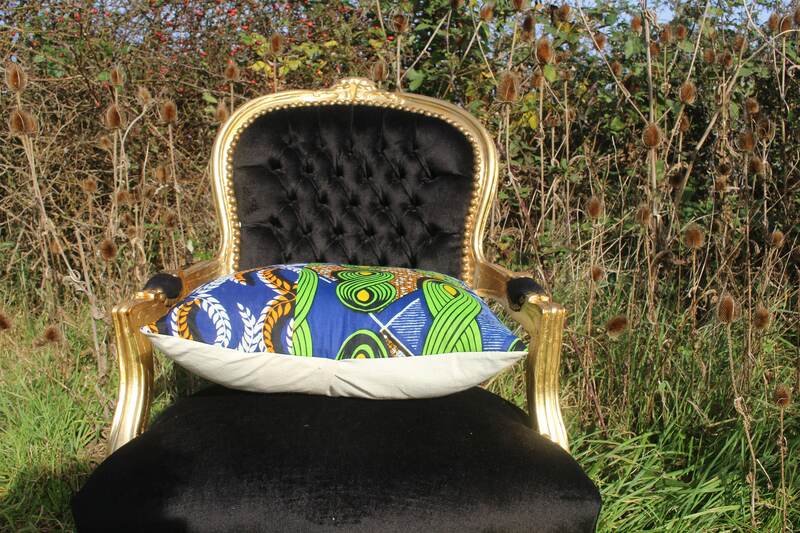 Chuck our fun and funky African Pillows over sofas and beds or scatter them in the corner of a room for a great colourful place to chill. 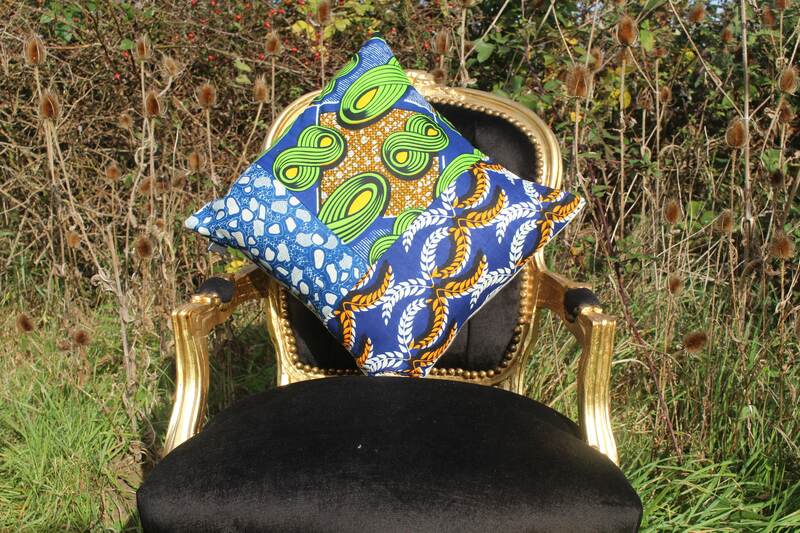 They make great Christmas pressies and housewarming gifts for friends and family too! 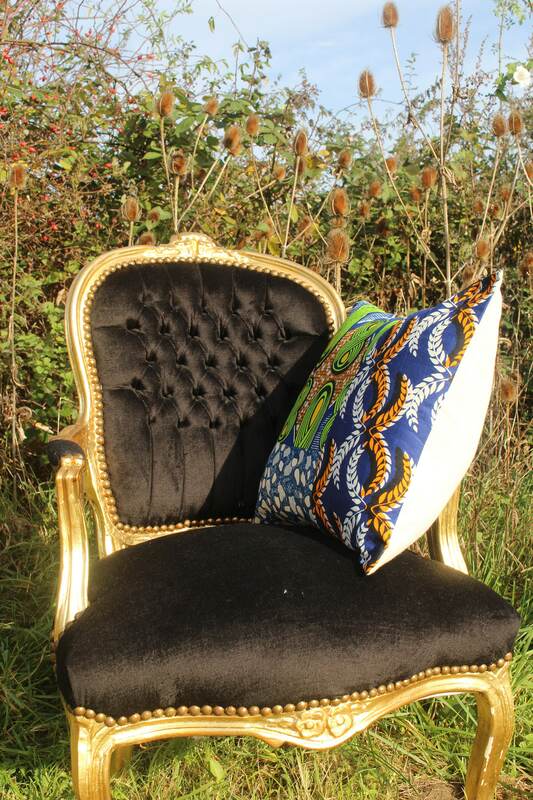 One side is 100% Metallic African Wax Print, the other is extra strong white cotton for strength and to help seamlessly blend into any home. 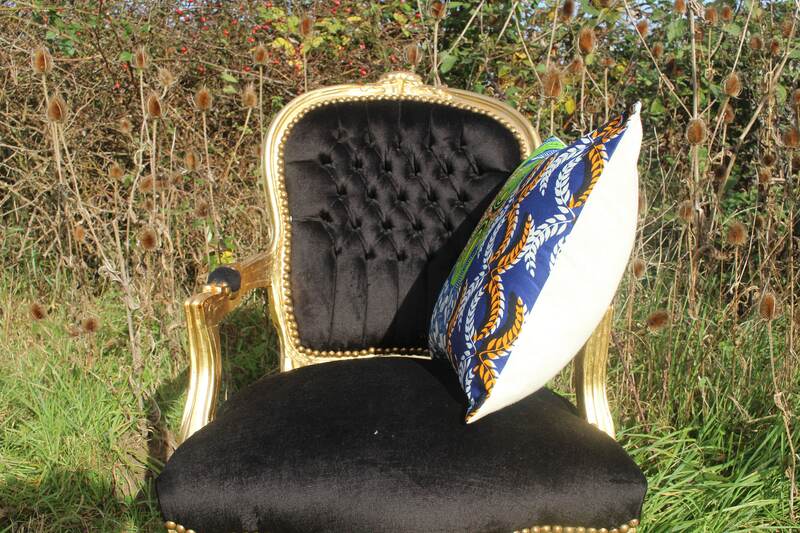 Rope pipping covers the border of this cushion to help make that wonderful print stand out. 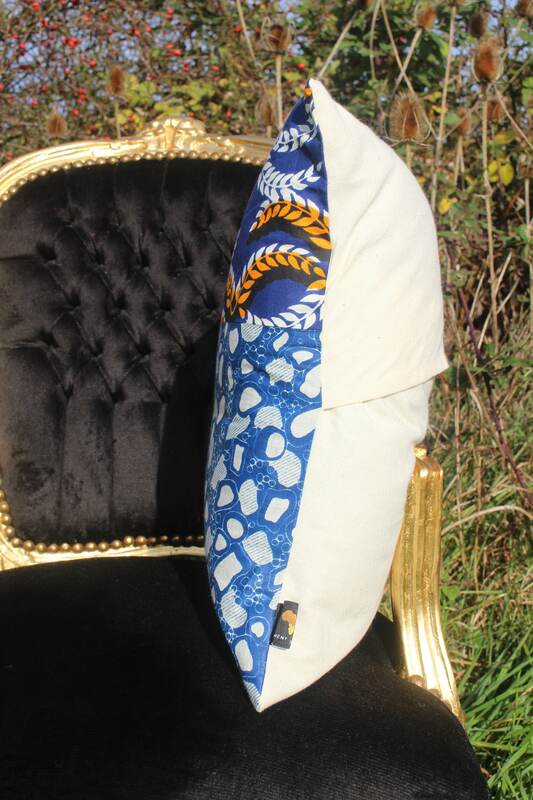 Take the cover off and wash at 30/40 degrees, but do not tumble dry.